Adjustment 33 is a mobile Chiropractic & Musculoskeletal Service. If your employees are missing work or struggling with Neck or Back Pain, Muscle/ Joint Pain and headaches, then Adjustment33 is just what your company needs to help tackle these conditions and get your employees back to work. Let Dr. Gardner be "your company doctor" and start increasing production, profits and employee retention by keeping your employees healthy. Our Current system of healthcare for employees is costing your business money, time and production. How is this current system costing you money? When an employee takes time off because of an injury, there is a loss of production and the excess burden is placed on other employees. This misfortune to your company is called "Direct Costs". Also, there are additional costs hurting your business, which often times may be over looked. This is referred to as "Indirect Costs". Yearly premiums increase because insurance companies consider your work force unhealthy. Workers Comp claims/reports are another ding to the business bottom line. These reports can gridlock, taking months/years for employees to return to work. 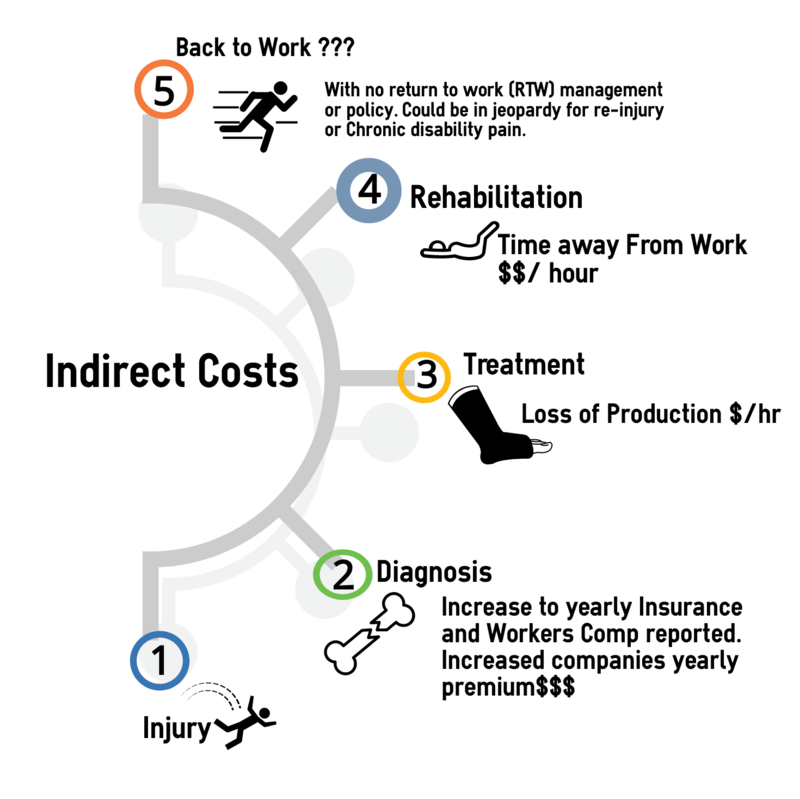 These "Direct & Indirect Costs" can add up very quickly and effect your bottom line. On Location Care, the "Innovative" Solution. First: Eliminating the need for the employee to leave the work place to seek an initial diagnosis and reducing the cost of unnecessary diagnostic fees, such as MRI, Xray, etc. 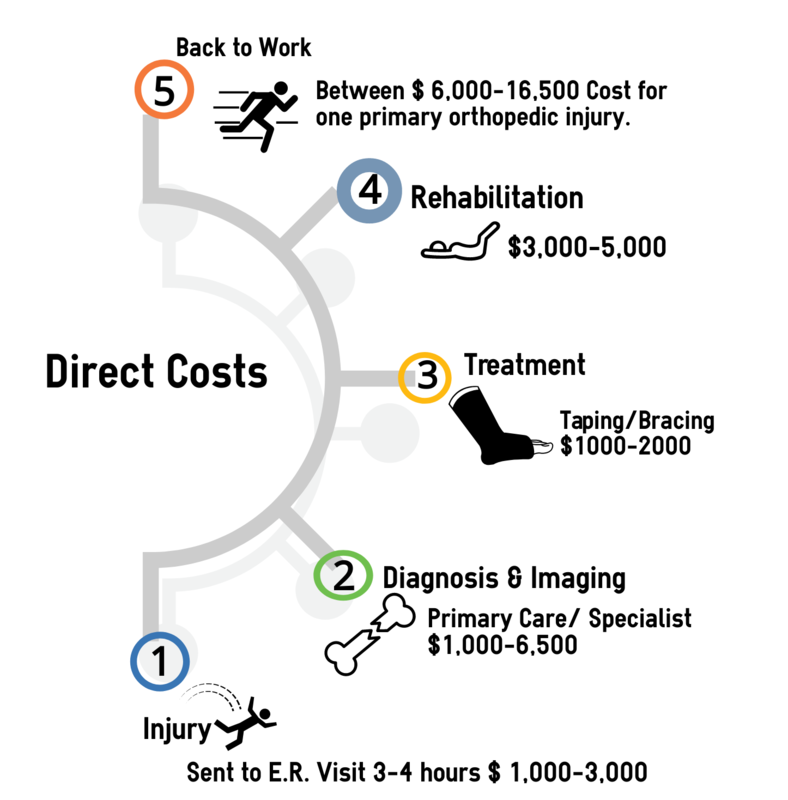 which dramatically increase the cost of a minor sprain or strain injury. 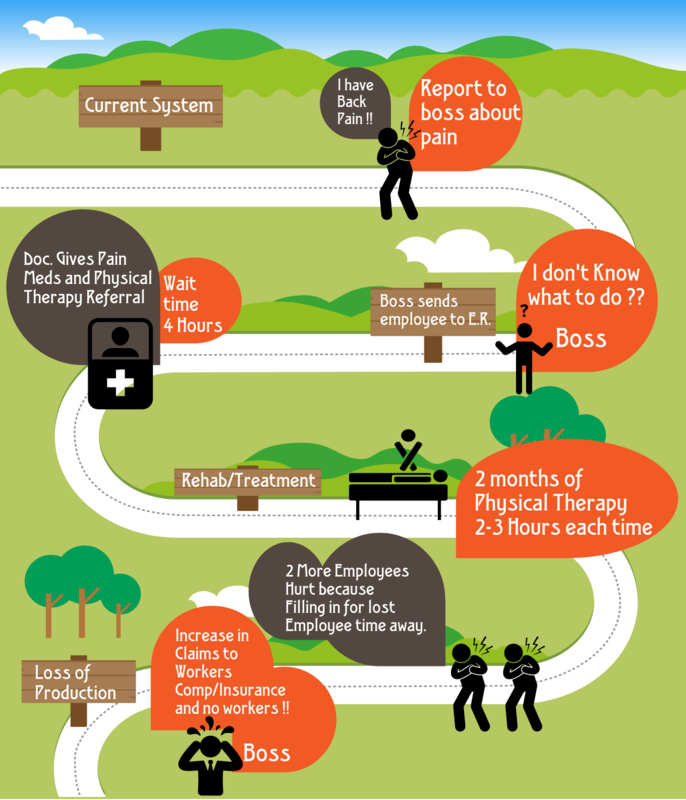 On Location providers specialize in employee injuries and proper wellness management. Second: Convenient treatment and training is performed at your company's office/location. This saves the employee time and greatly increases his/her ability to quickly return to work. Third: On location providers can assess worksite conditions and locate work problem areas that are causing injuries, then create protocols and prevention programs to help preempt workplace injuries. Every great sports team has a group of Doctors/Athletic Trainers to help assist with injuries that happen on the playing field. Their goal is to get athletes back into the game ASAP. Just think of Adjustment 33 and Dr. Chase Gardner as your team Doctor, eager and ready to respond to your employees injuries so they can get back in the game. Click button below to see how Adjustment 33 can create a winning Company Care Plan for you and your employees.